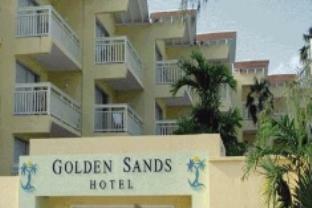 ﻿ Best Price on Golden Sands Hotel in Christ Church + Reviews! Located in Maxwell Hill, Golden Sands Hotel offers an outdoor pool and a spa and wellness center. This hotel is just a 10-minute drive from Carlisle Bay and a 2-minute walk from the beach. With free WiFi throughout, each studio and suite here is totally air-conditioned and includes a private balcony overlooking the gardens. They also come equipped with a TV, fridge and microwave. At Golden Sands Hotel you will find a restaurant, while other options can be found within a 5-minute walk. Grantley Adams International Airport is a 10-minute drive away.